Ireland, also known as the Republic of Ireland (Irish: Poblacht na hÉireann), is a sovereign state in north western Europe occupying about five-sixths of the island of Ireland. The capital and largest city is Dublin, located in the eastern part of the island, whose metropolitan area is home to around a third of the country's 4.6 million inhabitants. The state shares its only land border with Northern Ireland, a part of the United Kingdom. It is otherwise surrounded by the Atlantic Ocean, with the Celtic Sea to the south, Saint George's Channel to the south east, and the Irish Sea to the east. It is a unitary, parliamentary republic with an elected president serving as head of state. The head of government, the Taoiseach, is nominated by the lower house of parliament, Dáil Éireann. 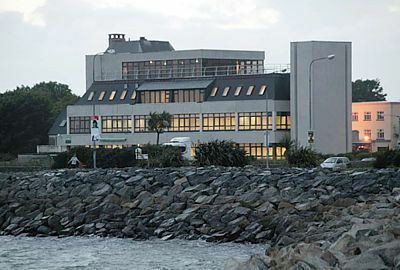 Ireland's worldwide reputation for high quality education is built on the solid foundation of commitment to excellence. The climate of Ireland is mild, moist and changeable with abundant rainfall and a lack of temperature extremes. Ireland's climate is defined as a temperate oceanic climate. The country receives generally warm summers and mild winters. It is considerably warmer than other areas on its latitude, because it lies in the northeastern Atlantic Ocean, and as a result is warmed by the North Atlantic Current all year. Ireland attracts a large number of foreign students each year due to its excellent reputation for education and welcoming culture. Ireland being part of the EU also helps to make it easily accessible for many students from inside the EU. A further reason for Ireland's popularity is naturally that the language of instruction is English, making it highly accessible to students from all over the world. International students are welcome to study at any third level institution. There are nine universities in Ireland - 2 in Northern Ireland and 7 in the Republic. These universities offer bachelor, master and doctorate programs in addition to a wide range of research.